HNST a radical different jeans! 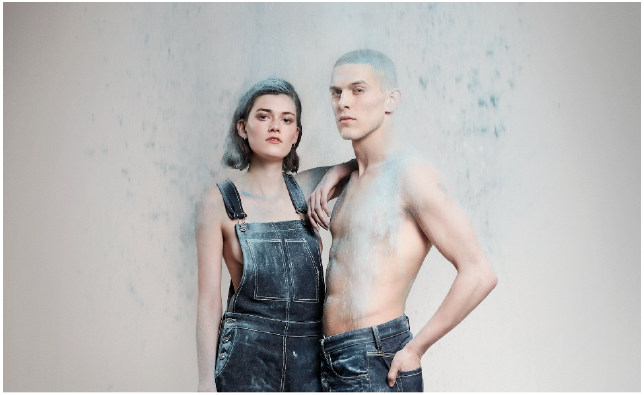 As proud partner of HNST we like to announce that the first radical different an sustainable jeans can be order from 22 March 2018 via https://www.letsbehonest.eu/. The jeans collection consist out of eight pieces; an overall, three woman jeans, an male jeans-jacket and three men jeans. The denim cloth used for the collection is made of renewable and natural materials consist out of the highest amount recycled materials. The cloth consist out of 56% post-consumer recycled denim, 23% cotton and 21% Tencel©, a leftover from the wood industry. This composition guarantees solid jeans that are sustainable and durable in use. The color process is most important for HNST radical different jeans collection. Within the textile industry the coloring process of jeans is one of the biggest pollution. HNST uses Smart-IndigoTM techniques for the coloring. Smart-IndigoTM use electro cells to fix the indigo powder on the jeans. That process makes pollution chemicals unnecessary. – Cradle-to-Cradle Gold stitching yarn: made of 100% biodegradable polyester. The yarn is Cradle-to-Cradle Gold certificated which means that the complete origin of the garment can be traced from needle to stitch. – 100% recycled inner pocket cloth of yarns spun in Flanders consisting out of 50% recycled post-consumer white t-shirts ans 50% Tencel©. Texperium took her part in the developing of this yarns and the yarns used for the jeans cloth. – Reusable buttons with screw system so u can use it from one jeans to an other. -Brand label of jacron: mado of biodegradable paper lookalike material with GOTS and FSC certification. – Embroidered rivets for the pockets: even solid and strong as their 140 years old metal counterpart. Because of the embroidering the rivets can be recycled together with the jeans cloth without the occurrence of residual flow. – Reinforcement of the cross: special development for cyclists. HNST provides an extra piece of fabric at the height of the cross to prevent tearing. In order to ensure that HNST product are circular, the brand/label will gladly take your product back after years of use. If you hand in your jeans at HNST, you will receive a nice discount of €15 on the purchase of a new pair of jeans. A stad Antwerpen, Provincie Antwerpen, Vlaanderen circulair, Pinkeye, de Collectie, Opnieuw & Co, Texperium, Textielstad Enschede, ESG en Italdenim.